Continuing my droplets tests I created a new workflow within Realflow. 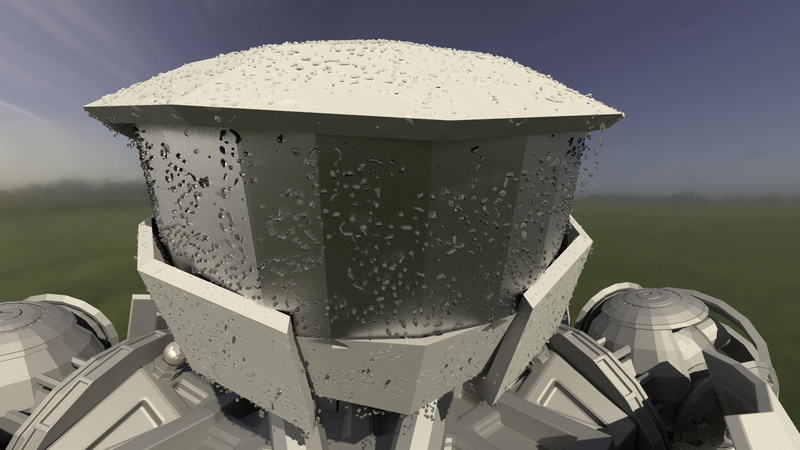 First I am creating the micro droplets which stick to the helmet and are the tiniest of drops (these are shown as white in the first picture). 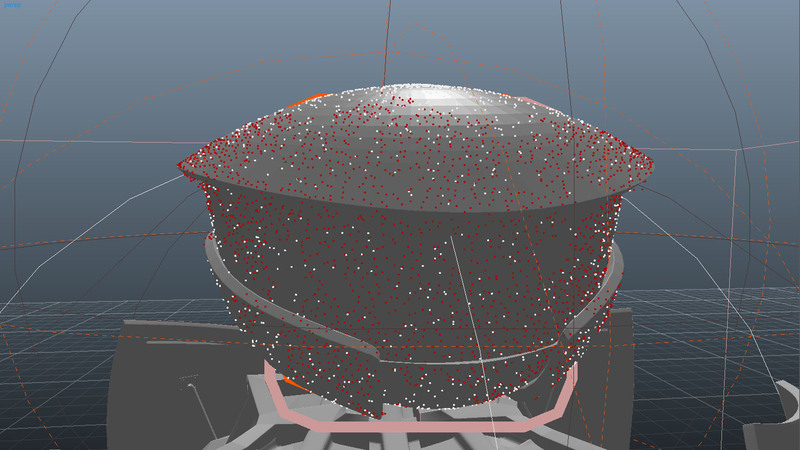 Then I add a second emitter to form the big drops. 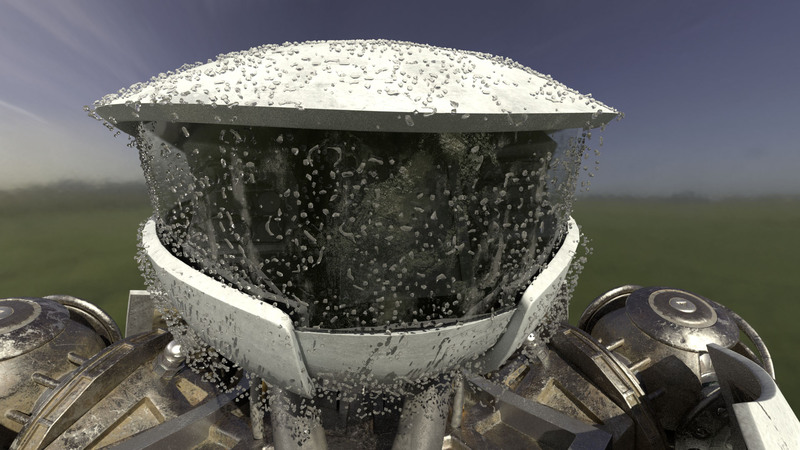 These bigger drops contain particles that tend to stick a little more together with surface tention. 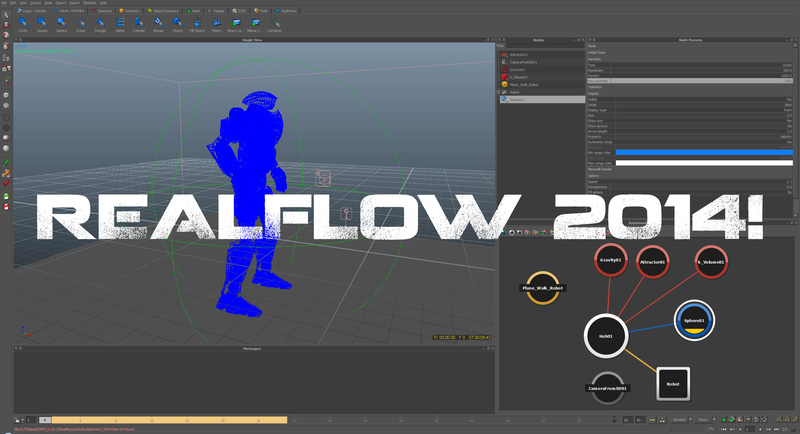 I then fine tuned the mesh created by realflow. There a several options to control how your mesh looks, you can first set your radius, this determines how big the distance is between the actual particle and the mesh created around it. Since we are having little drops compared to the robot we need a small value. Then I handle the smooth option, this option is extremely interesting in creating drops since this is the option that either decides to merge or not merge the mesh to a neighboring particle. This effect creates the bigger drops that seem to have merged as two individual drops. Eventually i exported the mesh into Maya and added a V-Ray material and setup a camera, lighting and HDRI for the background. 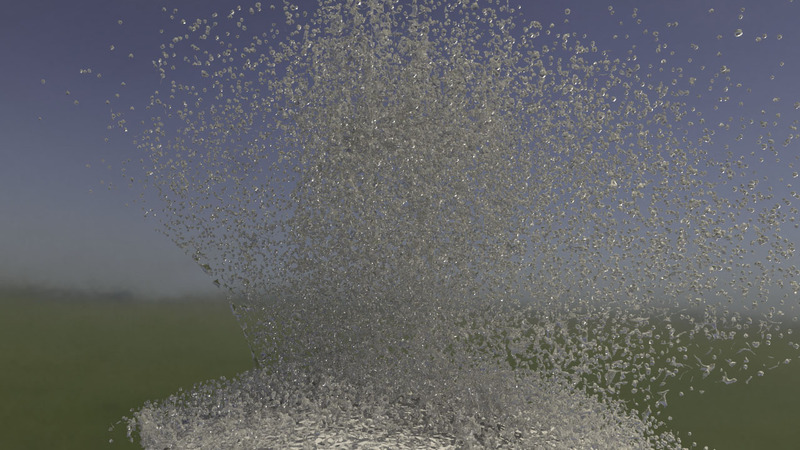 The result was quite surprising, the shader that I applied to the water seems to behave a bit weird. In the second picture you can see in the top left that weird stuff is going on and that the water drops are black. But you get a general sense of the robot being wet. 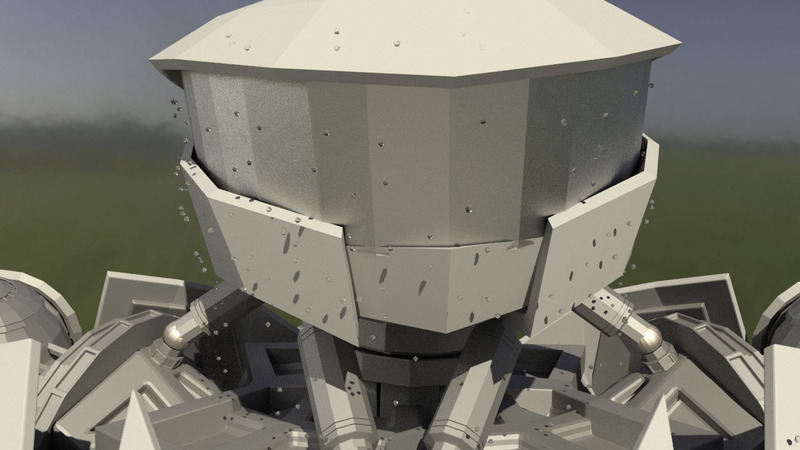 I later tried to replace the low poly robot with the high poly robot but that didn’t work out that well. Most of the drops aren’t sticking to the face because of the difference in geometry. 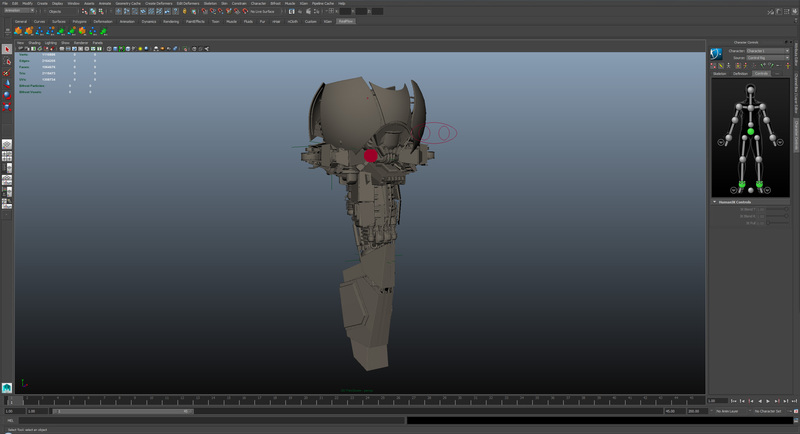 Going to make new sims with the high poly robot.